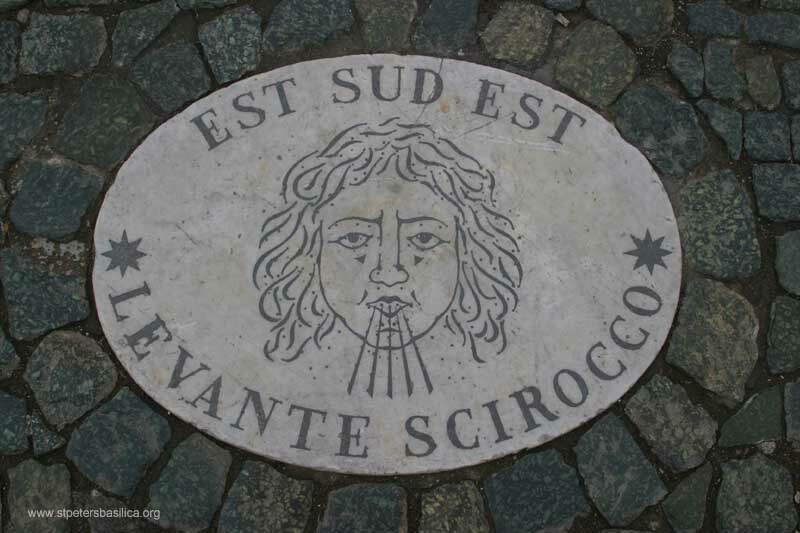 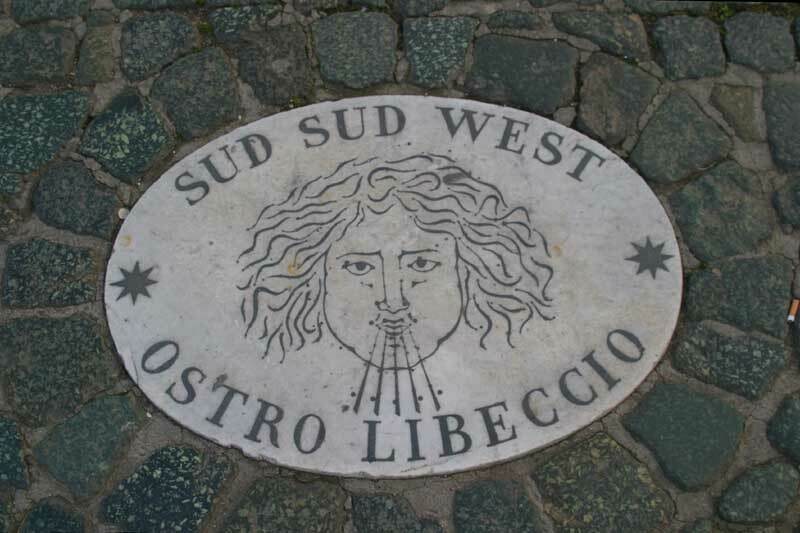 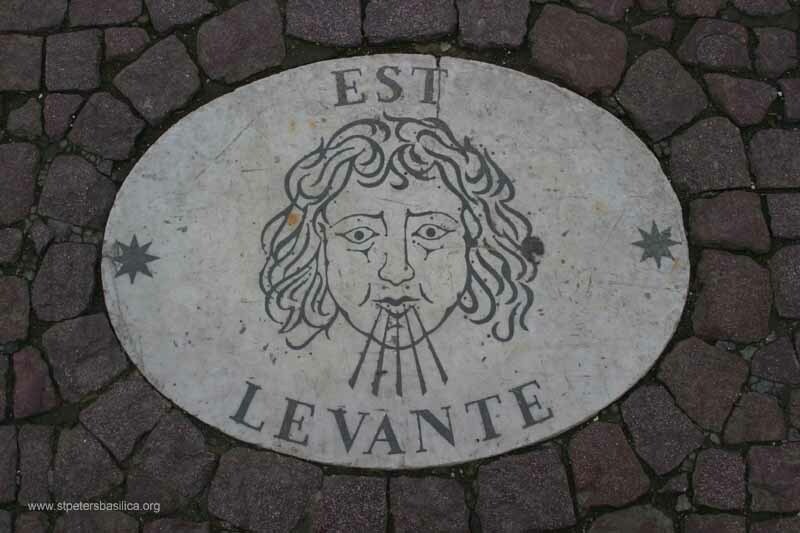 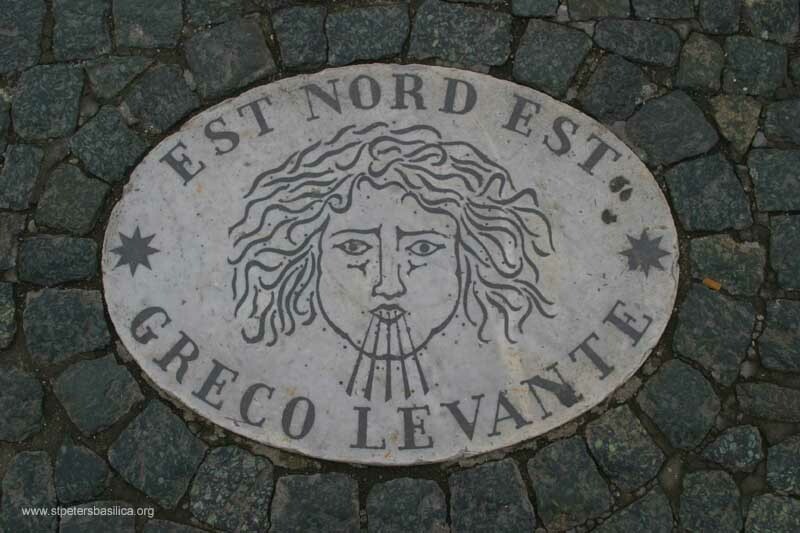 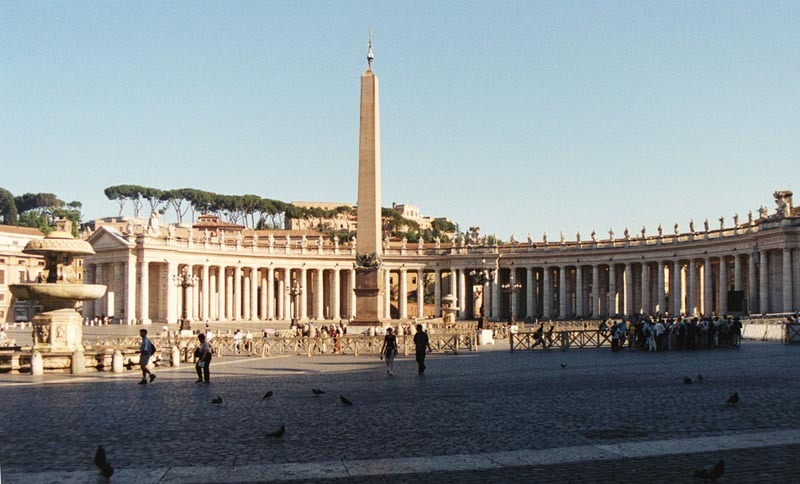 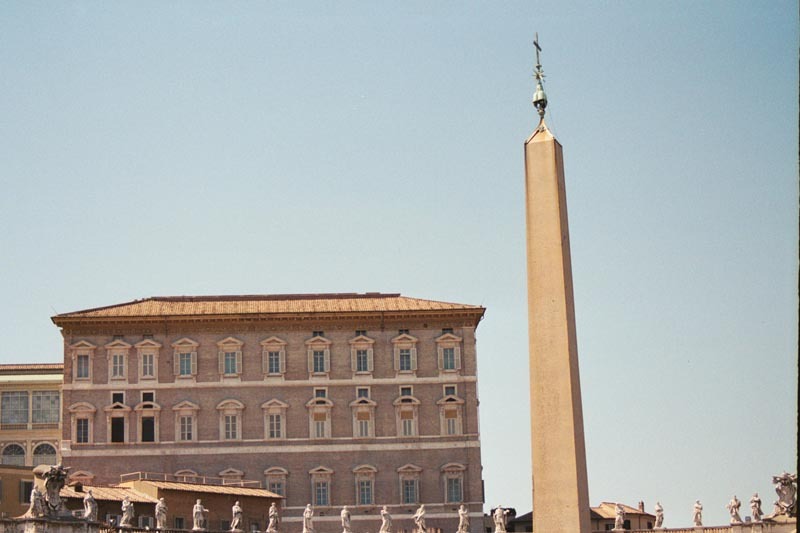 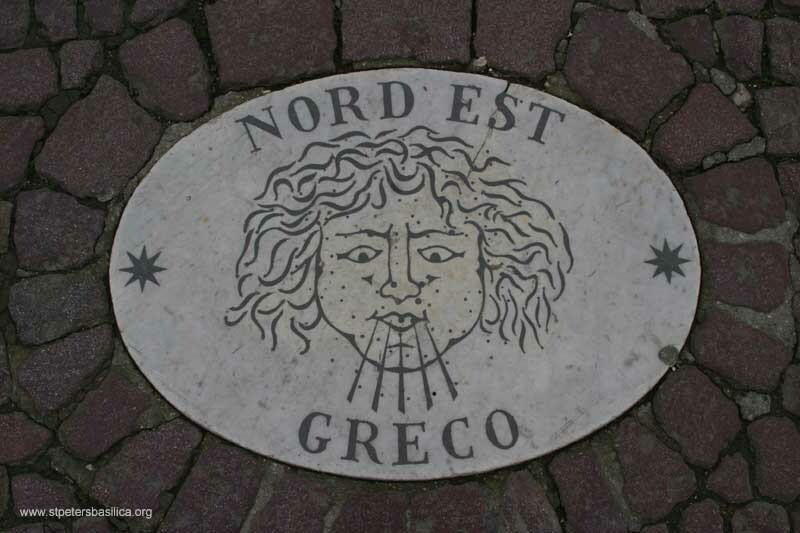 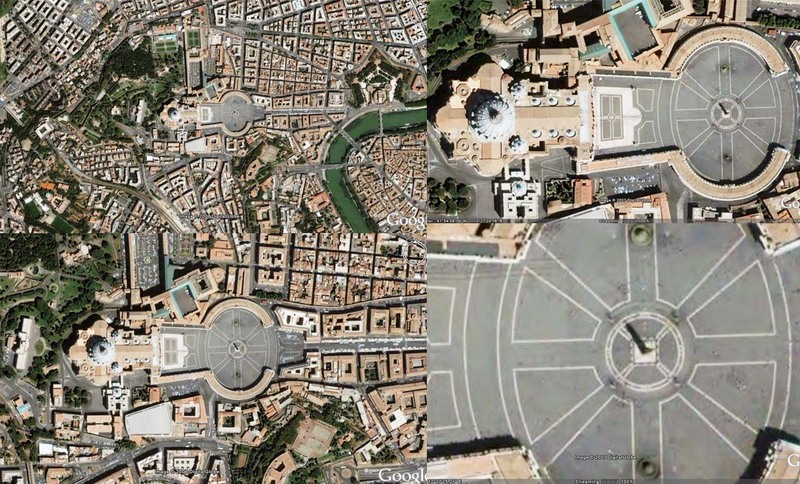 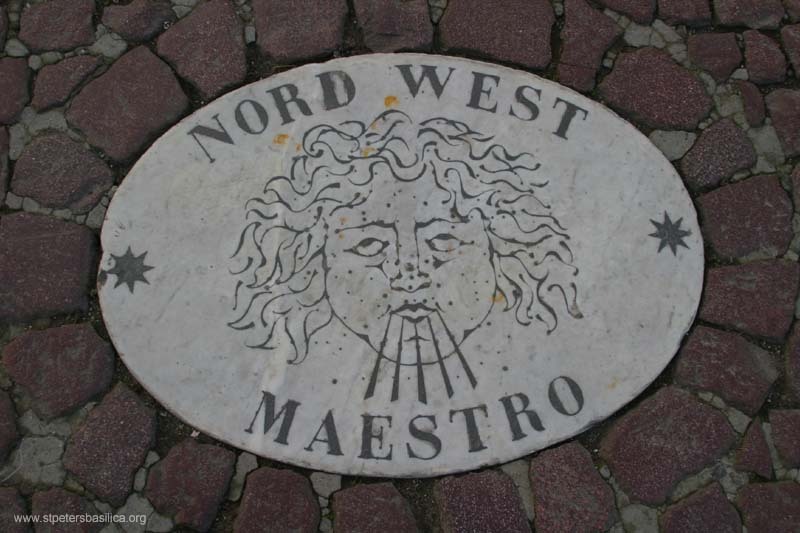 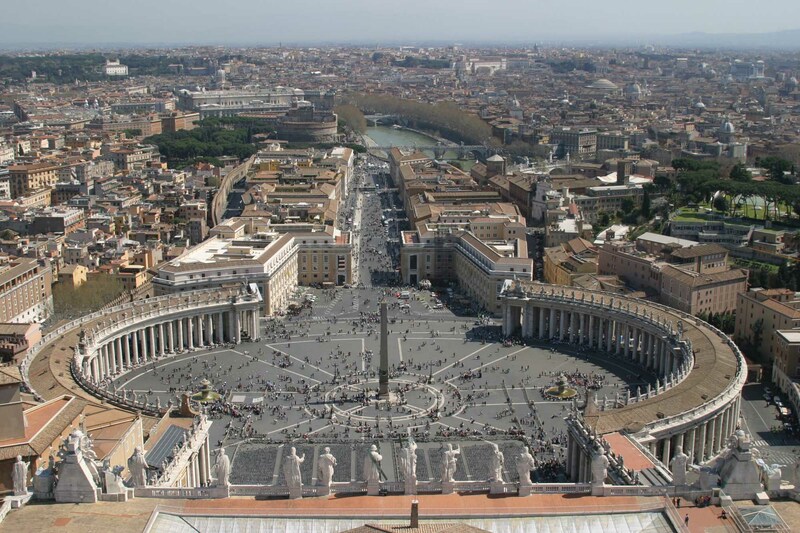 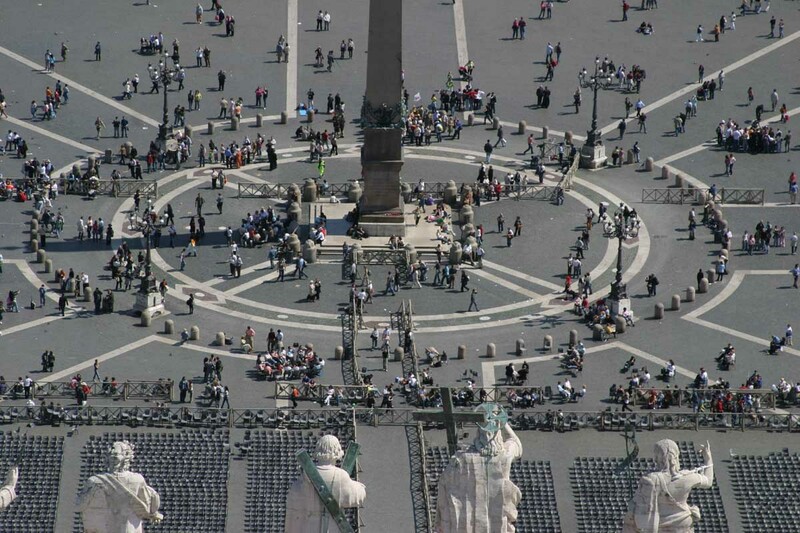 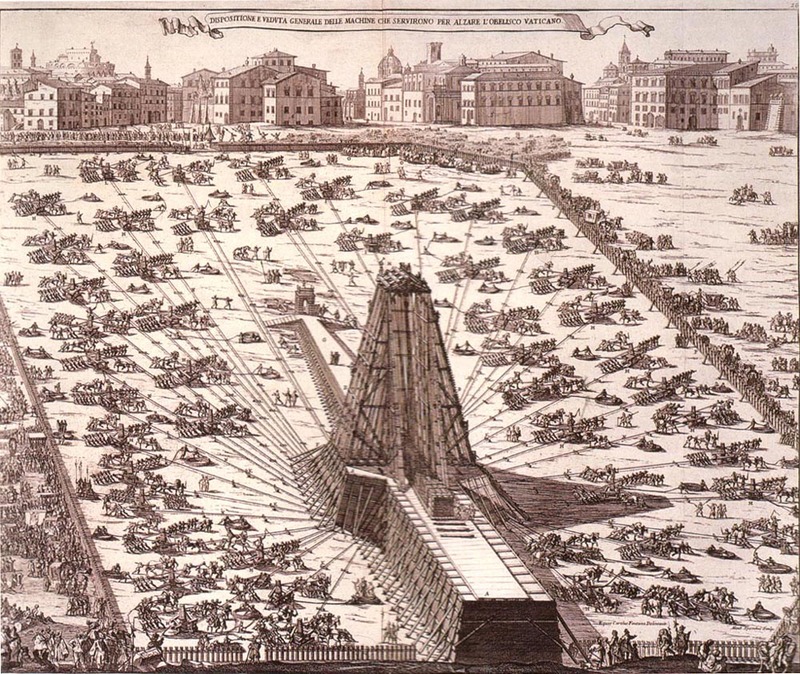 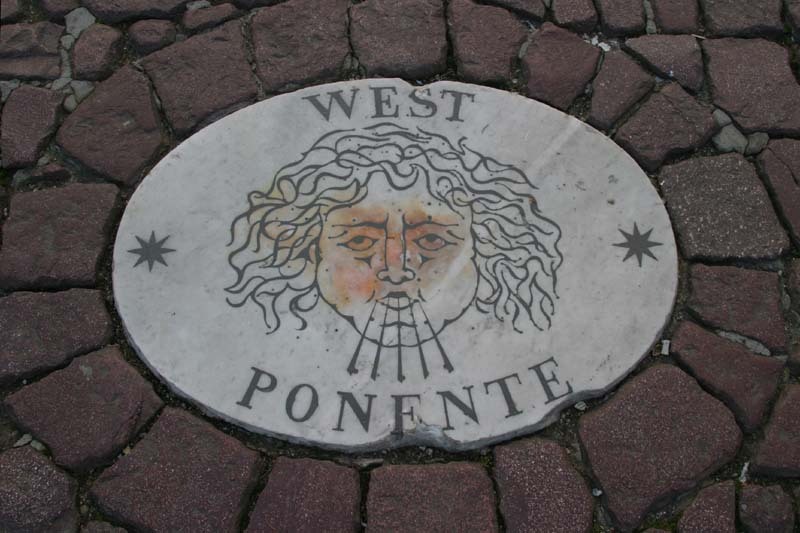 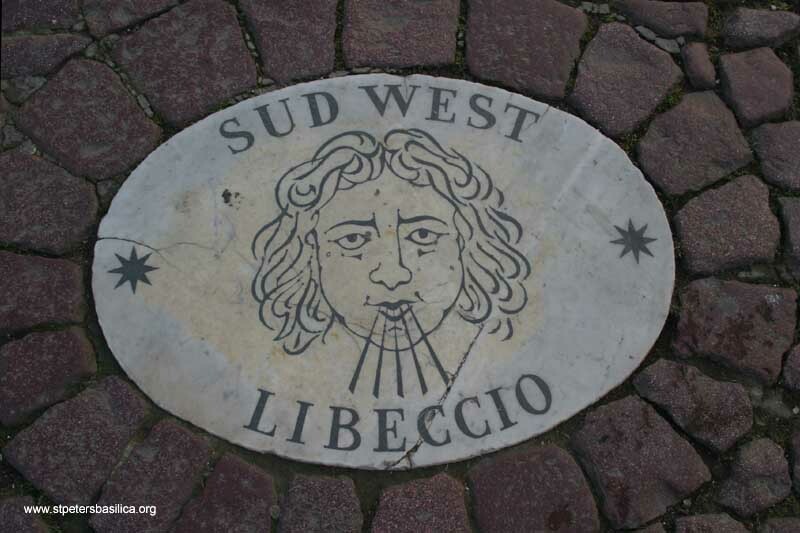 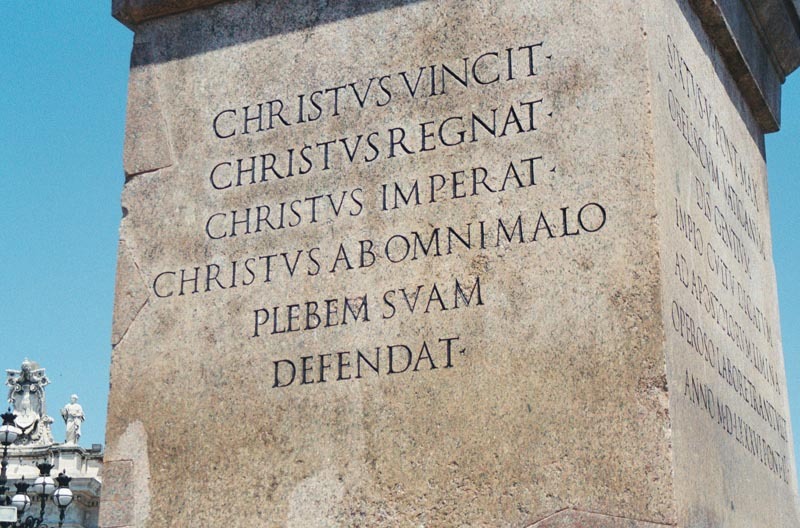 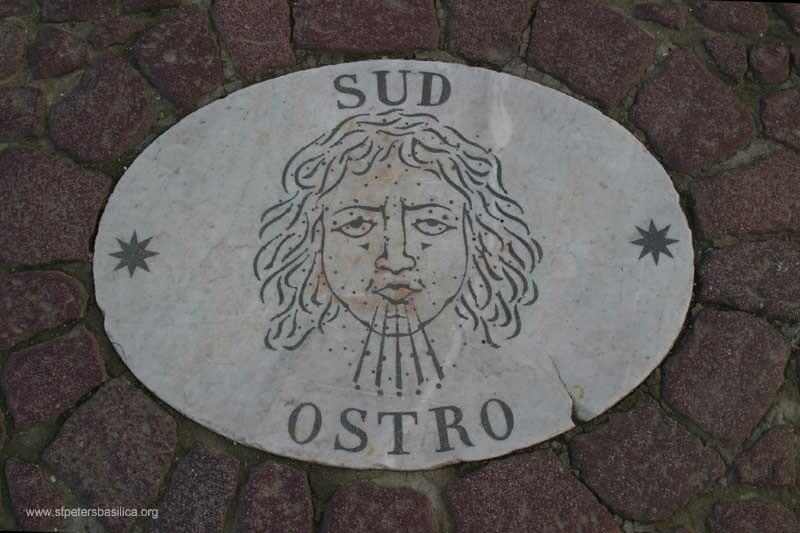 The Wind Rose that surrounds the obelisk in St Peter's Square is a diagram that uses the compass points to show the different wind directions. 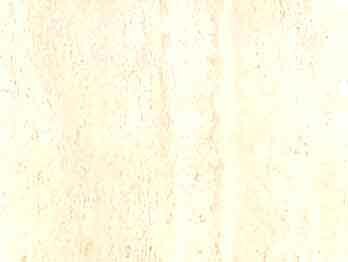 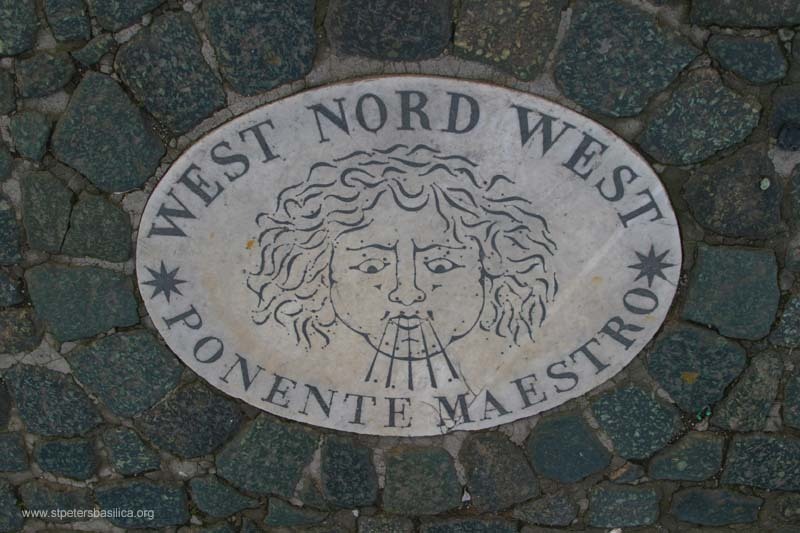 Each of these sixteen elliptical white marble markers is labeled with the compass point and the name of the wind from that direction. 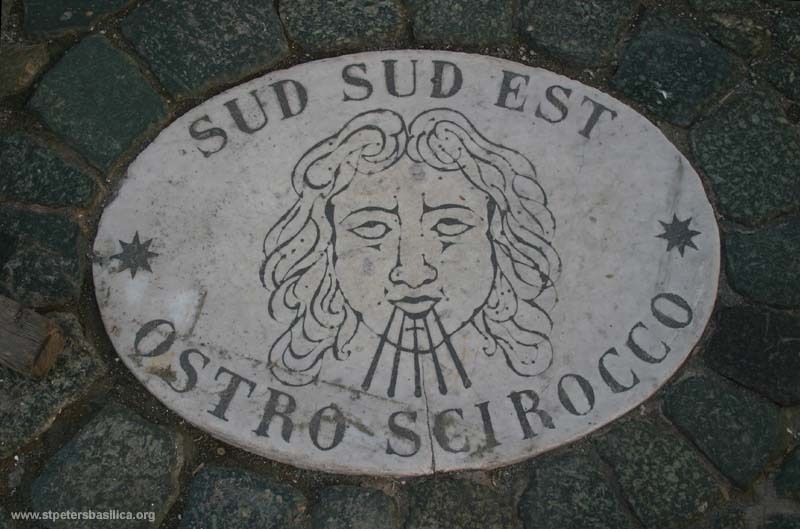 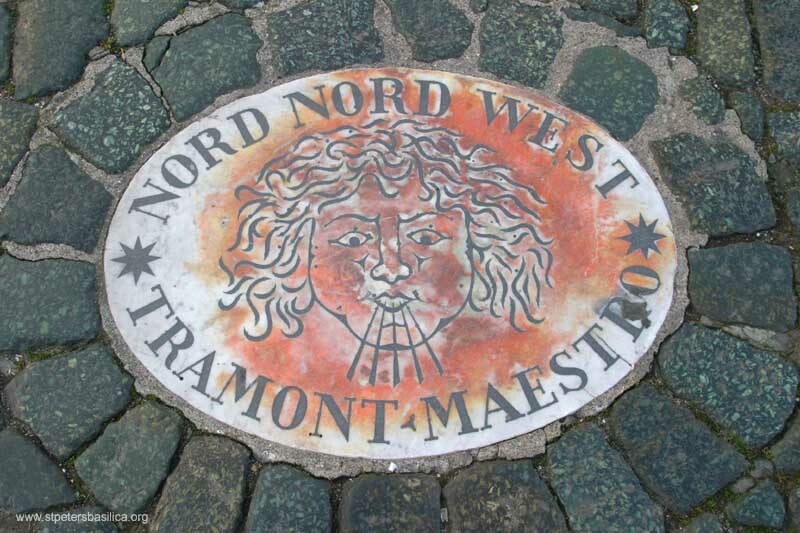 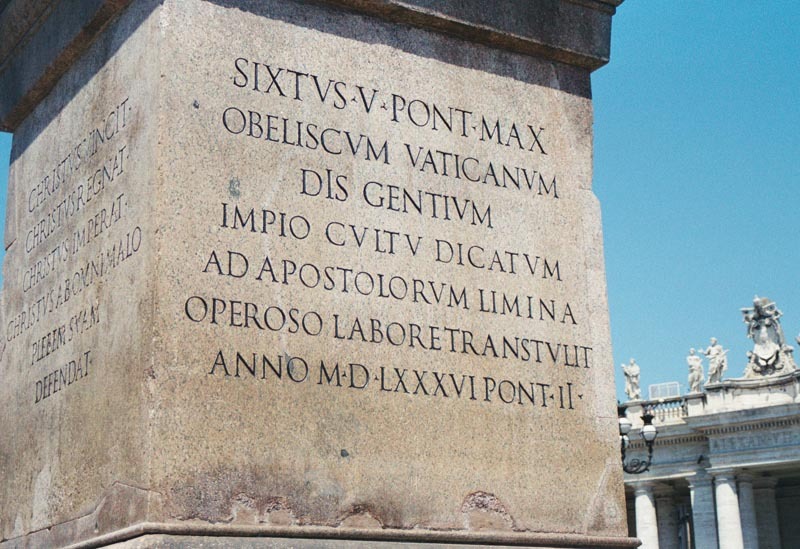 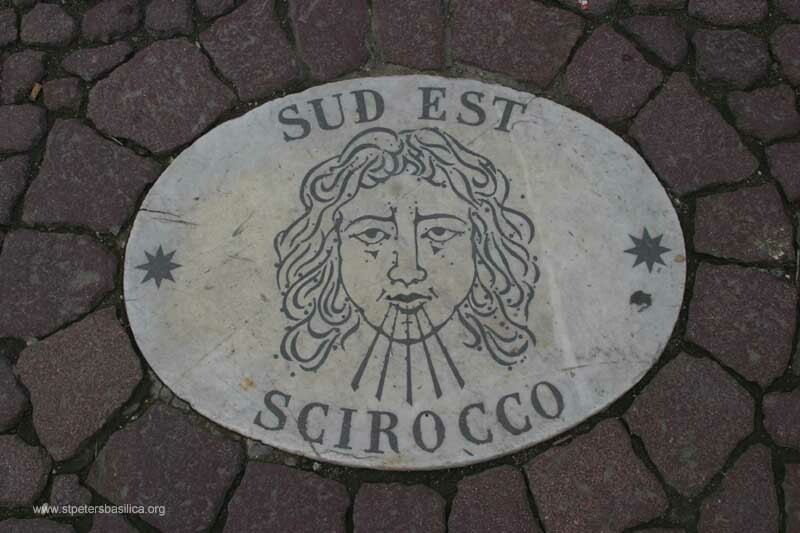 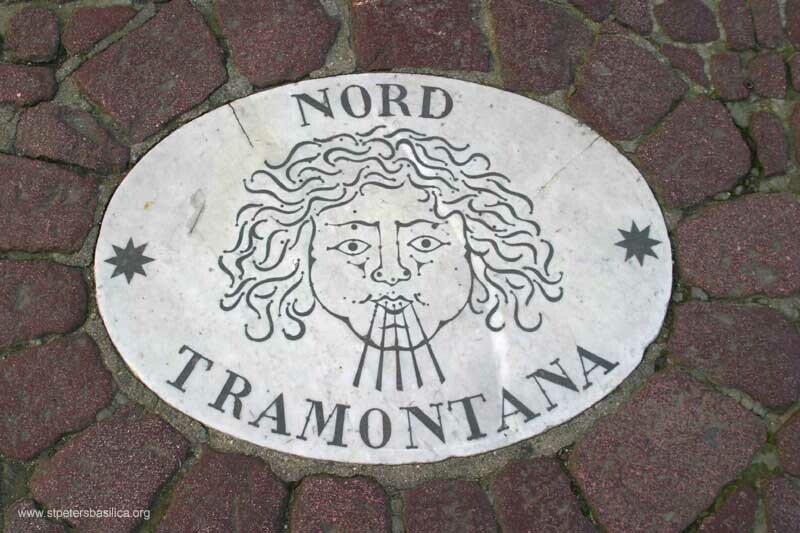 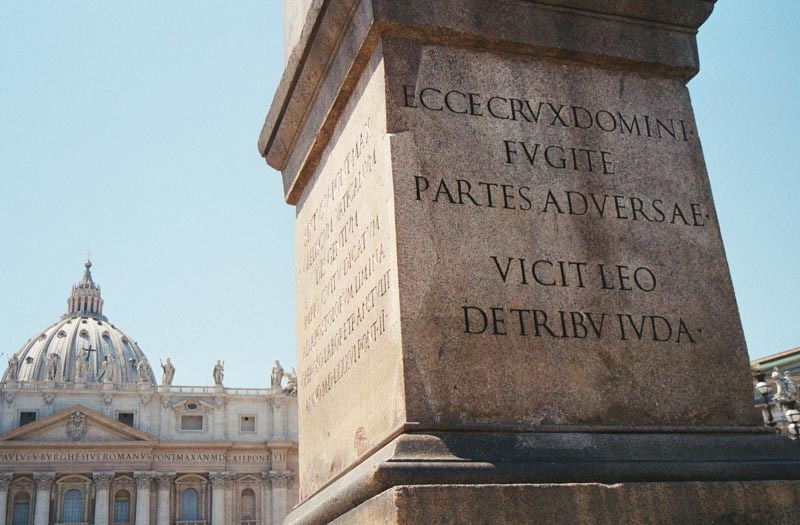 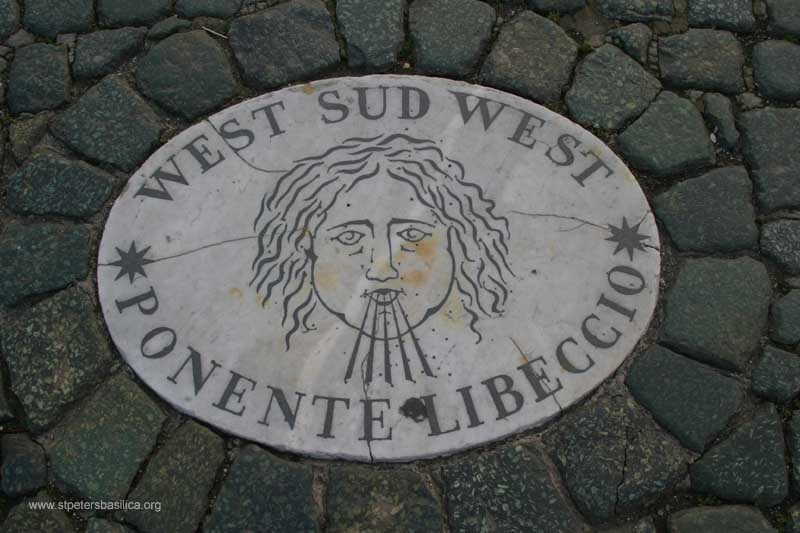 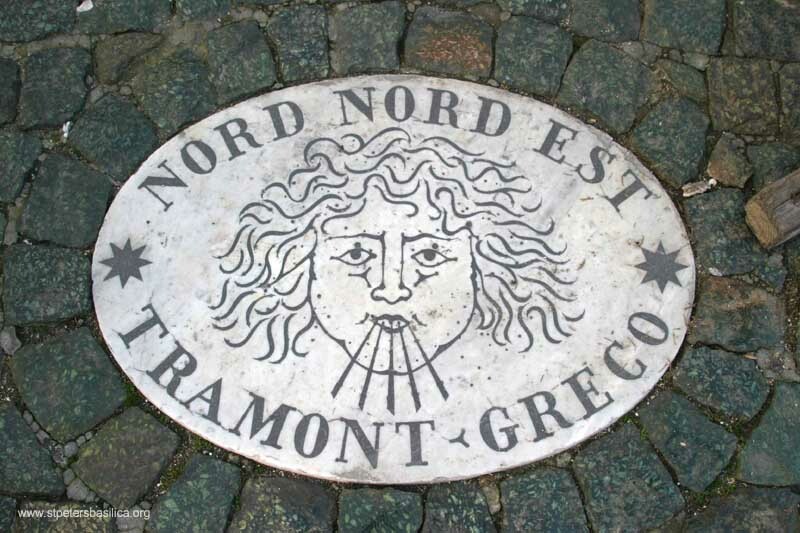 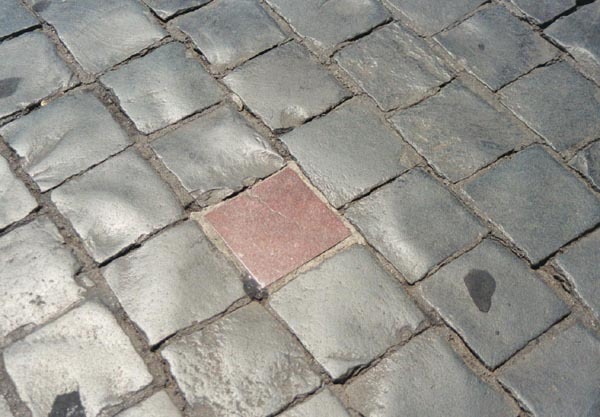 Though the 'wind rose' (Italian: rosa dei venti) has been around since ancient times, but these markers were added to the Square around 1852 when Pius IX added the four seven-branched candelabra with fountains, and the traffic-free circle inside the 68 short granite posts.